Great for canning, applesauce and mashed potatoes. 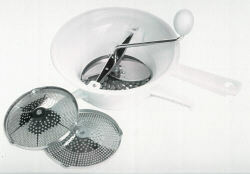 Ideal for sauces & purees. Mashes, rices, and strains.